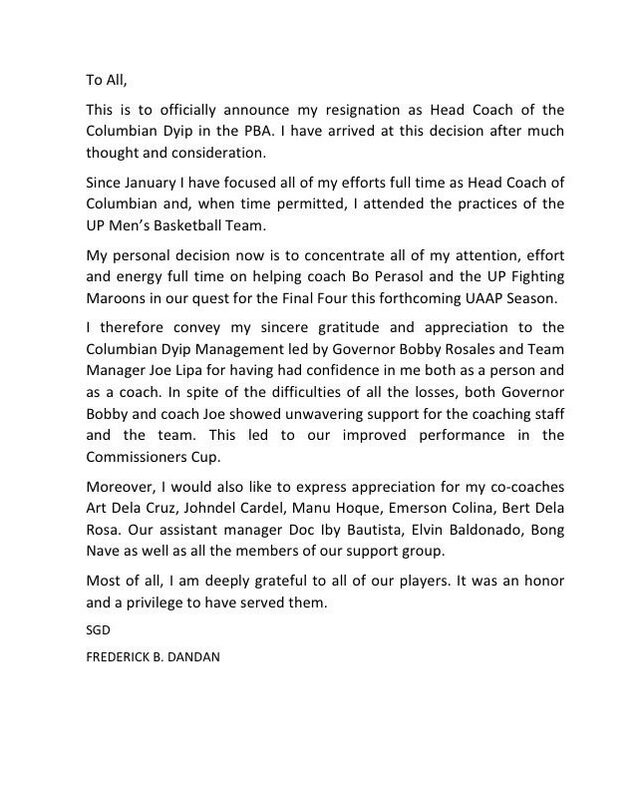 AFTER two PBA conferences at the helm, Ricky Dandan decided to step down as head coach of Columbian Dyip on Monday night. 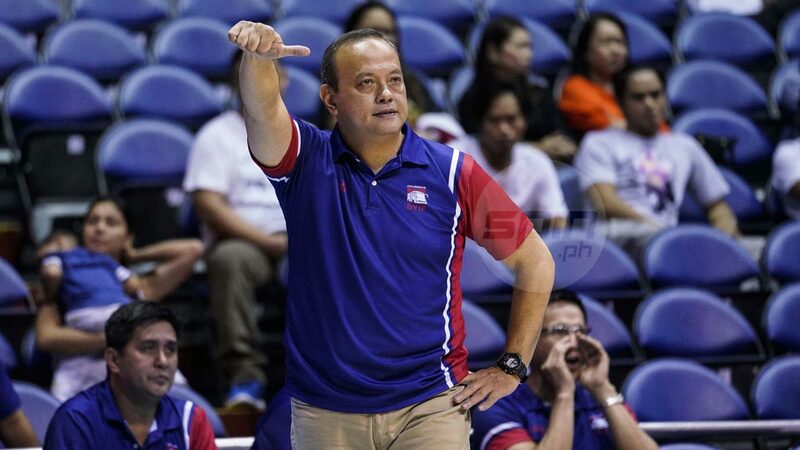 He said giving up the post would now give him the full time to help coach Bo Perasol in handling the UP Fighting Maroons as they aim for Final Four berth in the coming UAAP season. In two conferences with the Dyip, Dandan compiled a 5-15 mark, including 4-7 in the ongoing Commissioner's Cup. He took over from Chris Gavina just two games into the league's 43rd season after the team lost its first two games in the Philippine Cup.